“The Hamster” internet release TODAY! It is paradoxical to think so, but conspiracy theories are actually fairly reassuring. They suggest that the bad things that happen are in some way organized and someone is directly responsible for them. Perhaps bad people are in charge, but at least someone is at the wheel. Likewise, for all their gore and violence, horror movies proffer a kind of cathartic release. If ghosts, zombies, and serial killers are the embodiment of horror, we do not have to acknowledge a deeper existential truth: life is horrific. 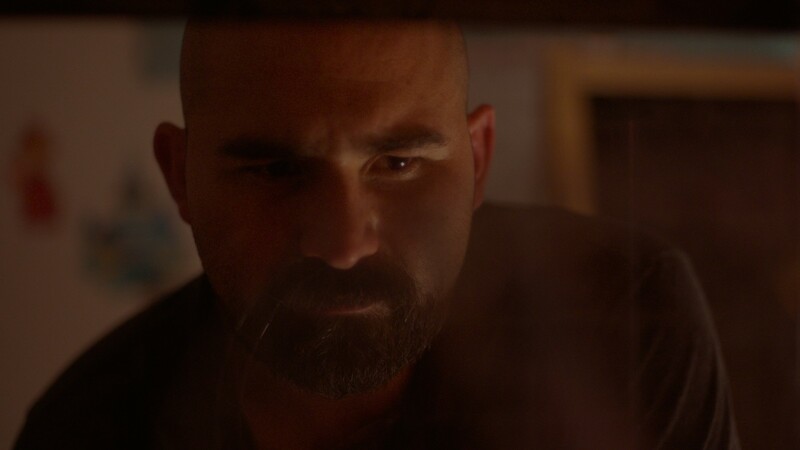 Filmmaker Ryan Barger is in touch with this reality, and the films he makes acknowledge the daily and inevitable horror of living. 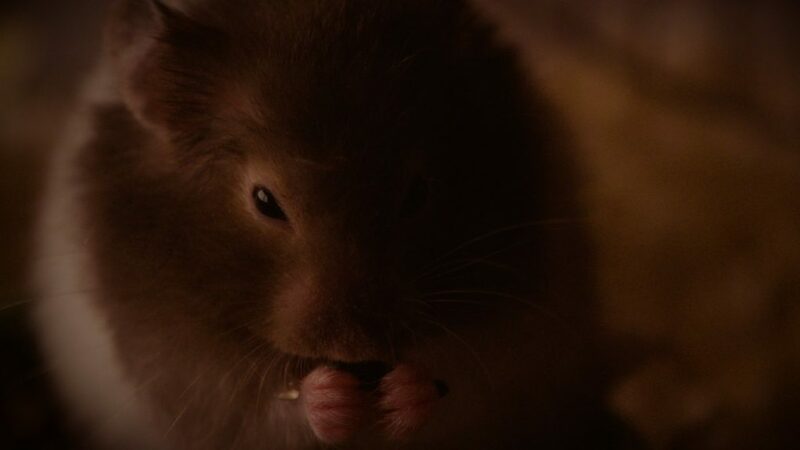 His newest short film, “The Hamster” (2015), is currently in limited release, and it demonstrates Barger’s increasingly deft use of cinematic vocabulary to underscore life’s subtle horrors, rather than its overt horrors. In many ways, the entirety of the 11-minute film plays like the opening of a horror movie—the part where things seem normal, but for an undercurrent of dread and foreshadowing. 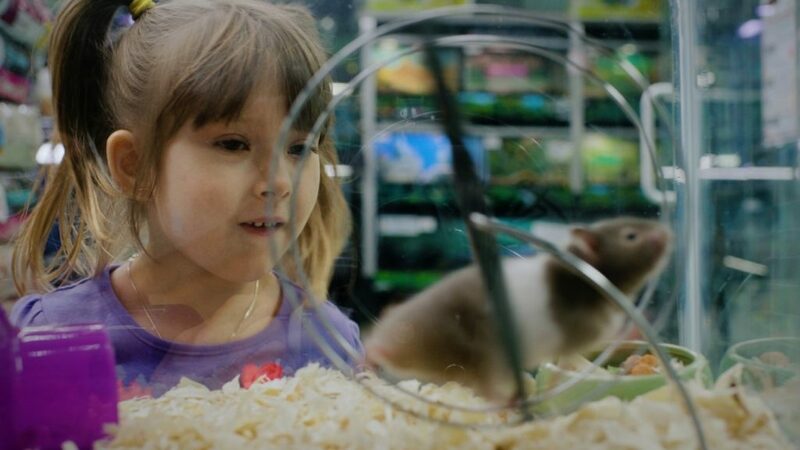 Much of the action takes place in a New York City pet store, where a father (played by Barger) and his young daughter are drawn into one of life’s early teachable moments: the death of a hamster. Darkly comedic narration voices the underlying anxiety that is the fundamental paradox of parenthood: you have created someone from yourself that you love more than anything, full knowing that bad things are going to happen to her. That’s the big picture, and big pictures are often easy enough to ignore, but life’s real horror is in the details. Attempting to make idle conversation with the standoffish pet shop owner, Barger’s character glances down to a counter display. “Pork Trachea,” says the label. Never have amputated throats seemed so banal. Of course, no horror movie is complete without some casualty. Fundamentally, a hamster is (like all of us) a body waiting to die, and it fulfills its destiny shortly after coming home with father and daughter. The movie’s climax is a monologue by Barger, spiraling far beyond the platitudes typically offered as panacea to a child dealing with the loss of a pet. “Does death give life meaning?” asks Barger’s precocious child, portrayed by the talented young Aaralyn Anderson. Barger’s perspective is playful, and morbidly funny. While most horror movies offer the reassurance that someone survives, “The Hamster” reminds us that in this, the real horrorshow, no one makes it out alive. In a world of unrelenting horror, it’s good to take 11 minutes every once in a while to acknowledge our unsung heroism in making it this far. “The Hamster” played at the Ashland Independent Film Festival in Oregon and Nitehawk Cinema in New York, and has been released online – you can see it here!